Posted on May 15, 2017 at 4:10 pm. A world-first study conducted by Deakin University into children’s attitudes regarding electronic gaming machines has revealed more needs to be done to protect kids from the dangers of the pokies. Research was conducted by interviewing 45 children between the ages of six and 16 who attended clubs containing electronic gaming machines in the regional New South Wales town of Illawarra. 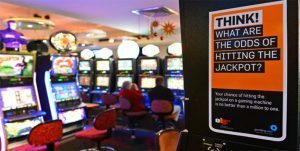 The report revealed more than half the children wanted to try playing the pokies once they were of legal age, and that they were familiar with the features of the machines despite not legally being able to enter the gaming areas. Associate Professor Samantha Thomas from Deakin’s School of Health and Social Development, who acted as the project supervisor for this research, says the report reveals the separation of kids from entering gaming floors is not enough to protect them. The research showed that even children who didn’t attend the clubs with their parents were aware of electronic gaming machines through their parent’s discussions with other adults. These descriptions related to the parent’s wins and losses, with children mostly being aware of the small losses and the big wins. The report concludes the government fund further research into the behavioural impact of gaming venue layouts and product design to ensure public health policy is effective in preventing children’s exposure to adult gambling products within family-friendly venues. Reducing the volume of sounds on machines, making them sound free, or ensuring that they play negative sounds when people lose on a spin. Ensuring that gaming rooms are located away from dining areas or club entrances. Developing school-based education, independent from industry, about electronic gambling machines, particularly in communities where there are high concentrations of clubs. You can read the full report published by the Harm Reduction Journal.